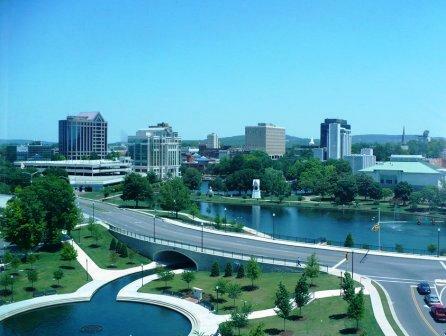 Pictured above: Attractive downtown in Huntsville, AL, one of the more affordable (and nice) communities reviewed on this site. Baby boomers, for a lot of good reasons, are really worried about retirement. Will they be able to make that transition, and how will they ever afford to retire in the style to which they have become accustomed? This article explores affordable retirement lifestyles, strategies, and locations; all to help you get the quality retirement you deserve. 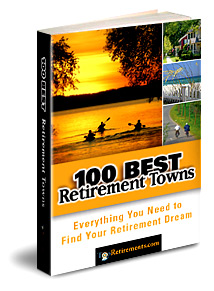 Click on a state to see more towns and a list of active adult communities. Here&apos;s an interesting North Carolina town with a very low profile. As a former river port, Tarboro boasts a 45 block area of historic homes that was created by the National Park Service. Home prices are very reasonable - the median is below $100,000. The Senate has taken on the task of checking on the financial health of the Continuing Care Retirement Community (CCRC) industry. Their findings recommend that, given the risks confronting the industry, the states should be more cautious in regulating CCRCs, and consumers should retain lawyers to help them understand their protections. Unless you are a numismatist you might not be familiar with this little town northeast of Atlanta and not far from Lake Lanier. Dahlonega was home to the first gold rush in the U.S.; now the coins from the old Dahlonega Mint are quite collectible. 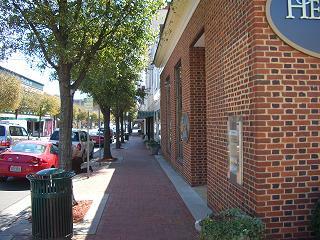 The town has won numerous awards such as being part of the National Main Street program. A vigorous discussion has broken out in our Forum on what people think about their chances of finding affordable housing. It ties in well with this week&apos;s feature article about affordable retirements. Weigh in with your opinion. Find out more about 55 plus retirements at our mini-site, 55PlusRetirements.com. Topretirements is a great place to promote your 55+ community. Create a free listing at Add Your Community! If you already have a listing, update it now to take advantage of our new features.